Wikipedia defines geolocation as “the identification of the real-world geographic location of an object, such as a radar, mobile phone or an Internet-connected computer terminal.” Obviously in our example we will be referring to the Internet-connected computer terminal. While there is a simple way to establish geolocation by using the Geolocation API (which we have already written about on this blog), it requires the visitor through a browser prompt to allow the website to access that information. Furthermore, the Geolocation API is only available to Internet Explorer 9 and up. With our more compatible method, we are able to skip the prompt and automatically implement our unique data. This tutorial will teach you how to serve unique content to visitors within a 50 mile radius of a certain city. We will use PHP and JSON but will not require intimate knowledge of either. The file_get_contents($url) function gets the contents of the url, which is http://freegeoip.net/json/whatever-ip-address-our-visitor-has. If you were to visit that website using your IP address you would see all sorts of nifty information about you, including your city, state, zipcode and more. Since it is listed in JSON format, we use the json_decode function to pass the data into a variable. Since the JSON data is in an array, we need to use the print_r() function to extract the individual city. Since we want to store the data in a variable, we use the return parameter by setting the second value of the print_r() function to true. At this point, you now have the city of your visitor stored in the variable $city. We also got the region code for the state because a lot of towns and cities do not have unique names (ie: Portland, Oregon and Portland, Maine). Note: The website http://freegeoip.net/ is a free service and as such has a max 10,000 lookups across all users per hour. Fortunately it is open source and you can set it up on your webserver if you ever get the dreaded Error 403 Forbidden! The other free website tools I used to aid me in my tutorial were found with simple google searches. If for any reason these services cease to exist in the future, I have no doubt newer and better ones will replace them. You will just have to search for them. And I suppose a disclaimer is in line: IP address lookups are not perfect and will sometimes list inaccurate information. 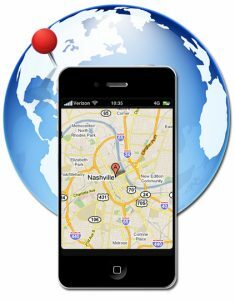 Using a 50 mile radius is a pretty big net however and will more than likely catch your visitor. very cool ! great usage of a free tool to implement geolocalized content ! how would you handle the cloaking aspect (from a seo standpoint) ? I believe you are talking about a topic that is important especially nowadays when it is important to be social’n’local but I will like to point you on a different direction especially because it’s known that freegeoip has limits, not only speaking about number of queries but it may be not accurate. Well, you may know for sure that FreeGeoIP works using mainly GeoLite database from MaxMind, and a serious business company will prefer to buy a the “Pro” version directly from their database that it’s way much more accurate than their lite version. It’s also true that opensource and/or free is even better than paying so maybe another alternative is to use the already PHP and Pear functions that will allow you to get the location of a visitor without affecting also the performance of your website. Yes, each query it may cost precious ms or seconds during the loading and MaxMind won’t allow you to cache or store the IP locations in a database at is against their TOS. But if you are lucky enough to work with dedicated servers or VPS you may create your own database of locations (and then maybe selling it) by using the whois functions installed in each server. Then what you need to do is simply preg_match and taking the provided information and store them in a database, then creating contents for various radius that you will store in a multidimensional array (so you can work with different states instead of using different if/else statements) and showing customized contents maybe using SR tags that you can change on the flight by using just str_replace.